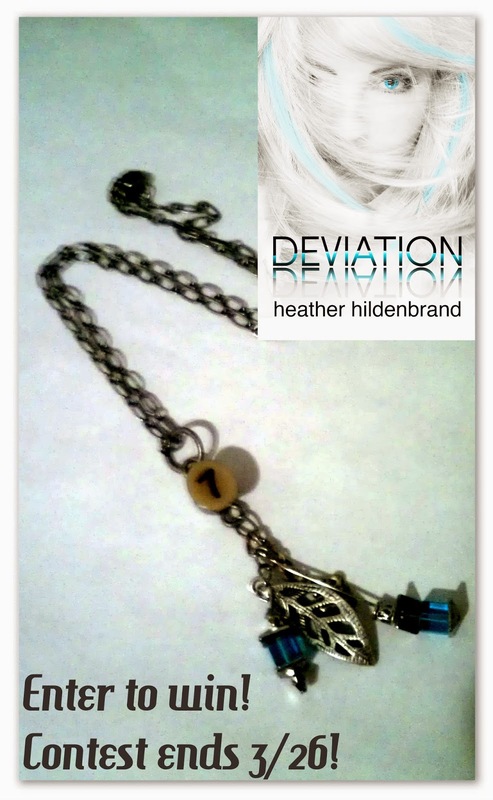 Welcome to my stop on the Deviation Blog Tour! I was so excited to be a part of this. Heather is one of my favorite authors, so of course I couldn't pass this up! 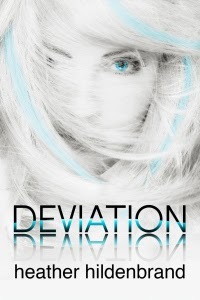 Check out my review for Deviation, the second book in her Clone Chronicles Series. Also keep on scrolling down for a sweet giveaway! Fantastic! That should really be all you need to hear to entice you to pick up Deviation for yourself. But, I suppose, I'll elaborate.. 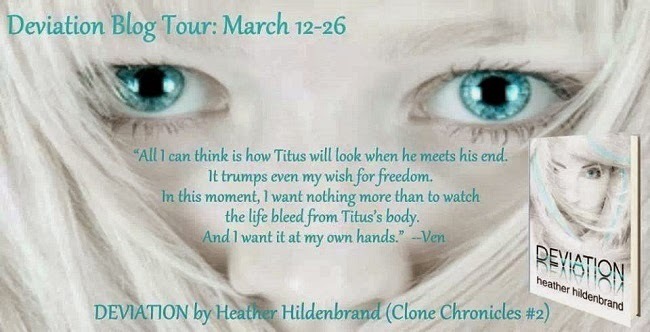 If you've followed any of my reviews, you know by now that I am a huge HUGE fan of Heather's writing. I haven't read anything she wrote that I've disliked and Deviation is no different. We pick up right where Imitation leaves us hanging. Unlike the first book, we are thrown right into the action. How will Ven and Linc break free? Will they be able to save the others? What happened to Daniel and Melanie? Does Titus finally get what he deserves? So many questions going into Deviation and I can say that most of those are answered! I'm still loving Ven and Linc's relationship. He's quickly becoming one of my favorite "book boyfriends". Aside from Wes. If you're a Heather fan, you'll understand! It's fun to learn how Ven handles all of her feeling. How she copes with understanding she's more human than she thinks. And Obadiah. What can I say about him except that I love him. He's quirky, loyal & a definate risk taker. Everything that Ven needs in a best friend. There isn't much world building in Deviation. But that's understandable, considering all of that was done for us in Imitation. We do get a look inside the infamous Twig City. And it will make your skin crawl. On one side, it's cool. I mean, clones? That's cool. But on the other, it's lifeless. A horrible place that cooks up a terrible mans experments. I don't want to give to much away! Reviewing series books always makes me nervous because I'm afraid I'll say to much. And I'm also afraid I'll be to vague. So I'll just say this. Read it. Read Imitation. Read Deviation. Then read every single Heather Hildenbrand book you can get your hands on. You can thank me later.